This paper presents the CARE-PARTNER system. Functionally, it offers via the WWW knowledge-support assistance to clinicians responsible for the long-term follow-up of stem-cell post-transplant patient care. CARE-PARTNER aims at implementing the concept of evidence-based medical practice, which recommends the practice of medicine based on proven and validated knowledge. From an artificial intelligence viewpoint, it proposes a multimodal reasoning framework for the cooperation of case-based reasoning, rule-based reasoning and information retrieval to solve problems. 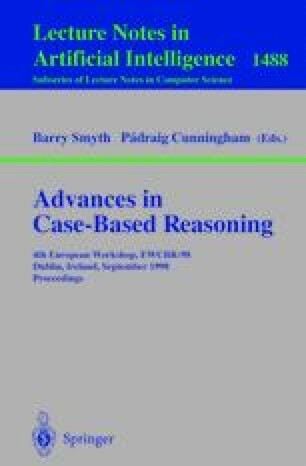 The role of case-based reasoning is presented in this paper as the collection of evidence for evidence-based medical practice. Case-based reasoning permits to refine and complete the knowledge of the system. It enhances the system by conferring an ability to learn from experience, and thus improve results over time.